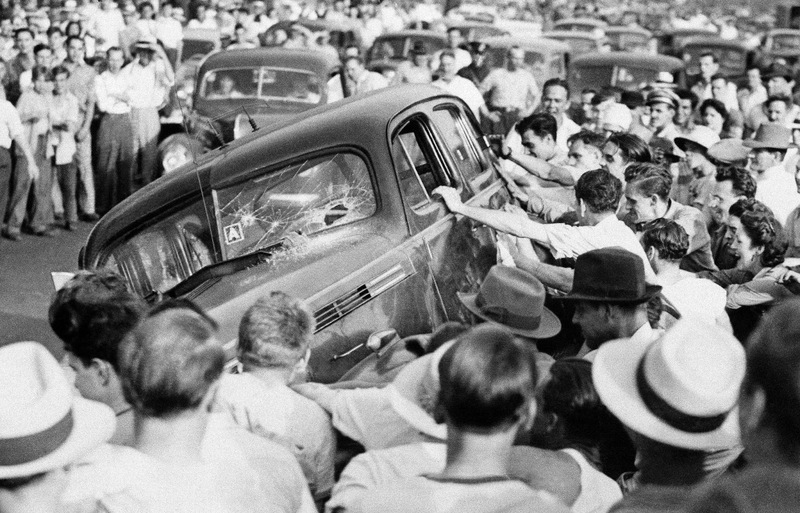 Hot time, Summer in the City … you'll find many of our July posts filled with race riot reports from around the country. 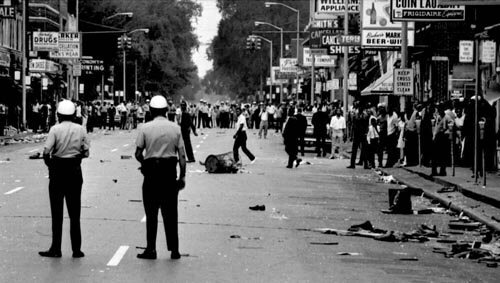 This was NOT a good time in America … and in the heat of the summer, tempers flared and escalated … rioting, arson, and looting ran rampant … destroying and devastating many of our cities … not a very pretty picture of The Land of the Free and the Home of the Brave. 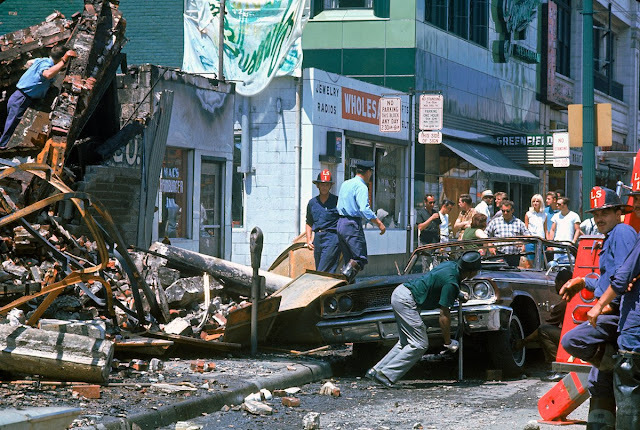 July 1st, the day after her 24th birthday, Florence Ballard showed up inebriated during The Supremes' third performance at the Flamingo and stuck her stomach out from her suit. Angered, Berry Gordy immediately ordered her to return to Detroit, and at this point, Cindy Birdsong officially replaced her. (It had been decided months earlier that Birdsong would be Ballard's replacement, as soon as her contract with The Bluebelles could be bought out.) Prior to this evening, Cindy Birdsong had filled in on a number of occasions … and Florence Ballard's failure to appear at certain Supremes events was explained away as a "temporary leave of absence" … which Ballard maintained for some time to come was also her understanding of her current position in the trio. Elvis Presley, his father Vernon and members of his "Memphis Mafia" attend Ann-Margret's show in Las Vegas. The Monkees perform two more sold out shows at Empire Pool in Wembley, North London. The Ventures and Tina Turner appear on "American Bandstand". "Funny Girl" closes at The Winter Garden Theater in New York City after 1348 performances. Canada celebrates its first 100 years of confederation. The first UK colour television program is broadcast (coverage of the Tennis Championship from Wimbledon). If you're lucky enough to have tickets, you can catch Jefferson Airplane at Chicago's Civic Opera House tonight. (Now THAT seems like a match made in heaven ... not!!!) Their brand new single "White Rabbit" debuts on both Chicagoland Top 40 Charts this week, too. Songs working their way toward The Top 40 this week include "I Take It Back" by Sandy Posey (#41, up from #46),"Jackson" by Nancy Sinatra and Lee Hazelwood (#42, up from #68), "Step Out Of Your Mind" by The American Breed (#43, up from #49), "Don't Go Out Into The Rain" by Herman's Hermits (#46 from #70), "Carrie Anne" by The Hollies (#47 from #53), "For Your Love" by Peaches and Herb (#49 from #71), "Somebody Help Me" by The Spencer Davis Group (#60 from #72), "There Goes My Everything" by Engelbert Humperdinck (#61 from #100, a leap of 39 points!) and "Silence Is Golden" by The Tremeloes (#62 from #81). The Monkees perform their first live show on British soil tonight at Empire Pool in Wembley, North London, England. 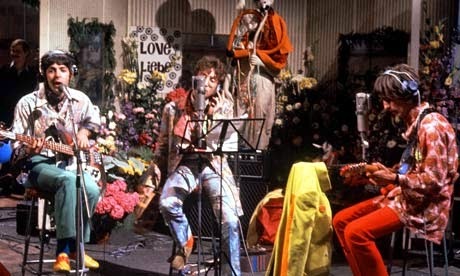 During their performance of "I Wanna Be Free", images of Mick Jagger are projected on a screen behind the band. (Jagger had just been convicted of drug offenses and sentenced to three months in jail.) Their young audience of 9597 fans (a sell-out crowd) proceeded to boo. Mike Nesmith later told Keith Altham of New Musical Express "I can't tell you how miserable that made me. I can only hope they were booing authority and not The Stones." Tommy James and the Shondells have a new record on the charts as "I Like The Way" premiers at #86. Another all-time personal favorite of mine debuts at #90: "My World Fell Down" by Sagittarius. And The Forum premier at #99 with "The River Is Wide". "Joy" by Mitch Ryder debuts at #84, "Give Me Time" by Dusty Springfield at #85, "You Were On My Mind" by Crispian St. Peters at #87, "Mr. Pleasant" by The Kinks at #92, "Pictures of Lily" by The Who at #94, "Washed Ashore" by The Platters at #95, "In The Chapel In The Moonlight" by Dean Martin at #97 and "Your Unchanging Love" by Marvin Gaye at #98 … but despite the star-power attached to them, NONE of these records will leave any kind of a lasting impression on the folks buying (and playing) music in 1967. 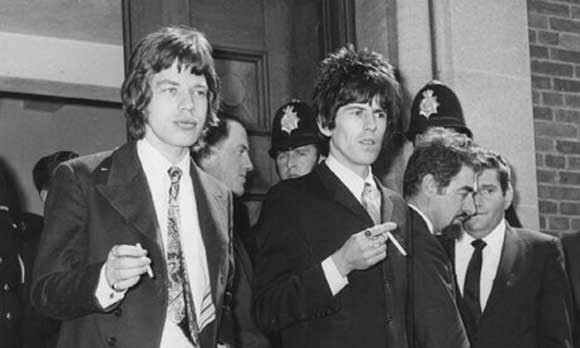 Mick Jagger and Keith Richards of The Rolling Stones are found guilty of drug possession in a British courtroom. Jagger was sentenced to three months in jail for possession of amphetamines and Richards was sentenced to one year for allowing his home to be used for cannabis use. After a public outcry (including an essay published in The London Times defending the two), The Rolling Stones appealed the decision and a month later (on July 31st) Keith's conviction will be overturned but Mick's is upheld … and then reduced to a "conditional discharge" (aka probation). 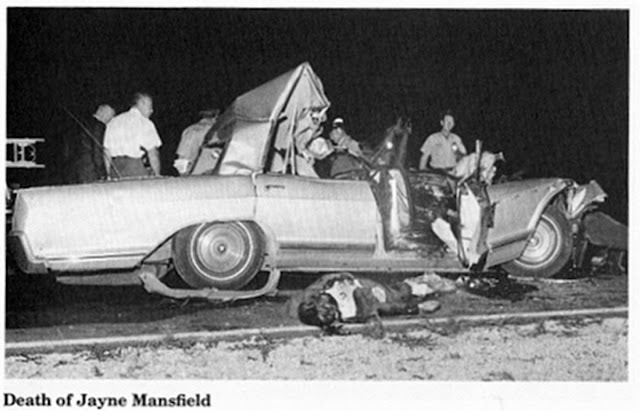 Mega-Hot Actress Jayne Mansfield (age 34 … her bust size was considerably larger) is killed (along with two others) in an automobile accident in Louisiana. Contrary to long-published reports that have circulated for the past fifty years, she was NOT decapitated. 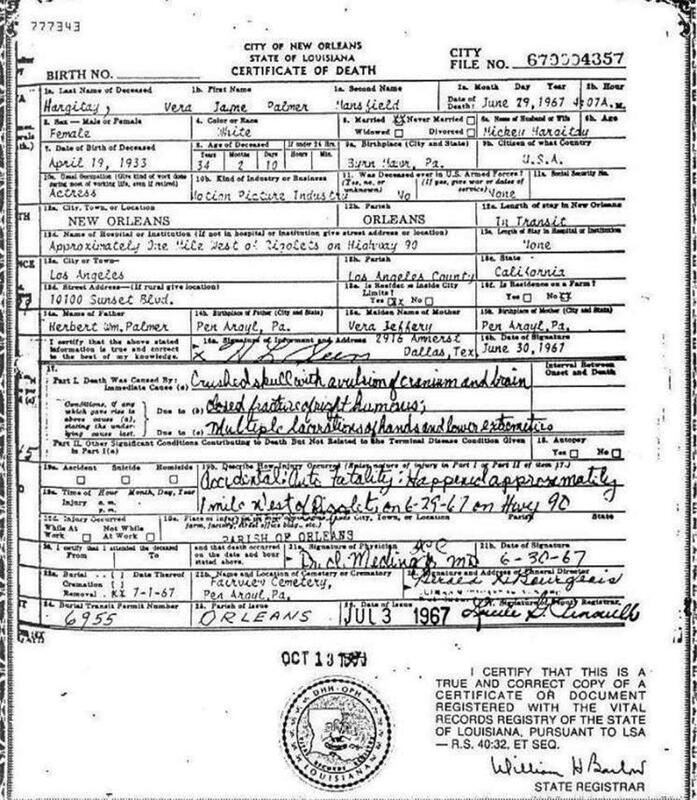 Photos of what appeared to be a blond woman's head were leaked ... but her death notice clearly states that she died of a crushed skull with avulsion of the cranium and brain (see below) ... it is believed that what was photographed was most likely one of Jayne's blonde wigs, perhaps part of head "wig stand" mannequin. 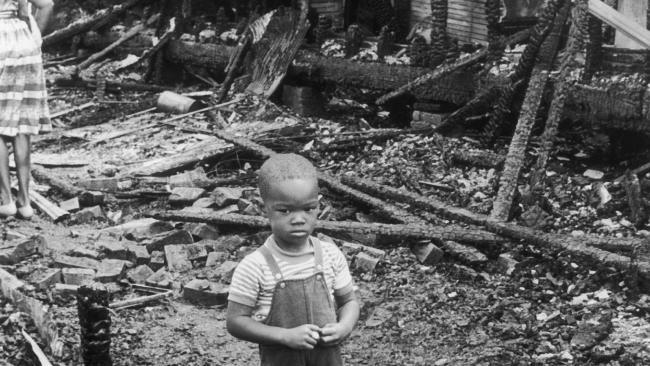 Her three daughters were in the back street, sound asleep, and escaped unharmed. One of those daughters, Mariska Hargitay, would go on to have her own successful television career, most notably for her role on "Law And Order: SVU", which was just renewed for its 19th season. While touring with The Hollies, Graham Nash writes "Marrakesh Express", a song his own band will later refuse to record. It is often cited as the deciding factor in Graham leaving the group, moving to The United States and ultimately forming Crosby, Stills and Nash with former Buffalo Springfield member Stephen Stills and former Byrd David Crosby. "Marrakesh Express" becomes the super group's first hit single two years later. Frank Sinatra records "The World We Knew" in New York City. 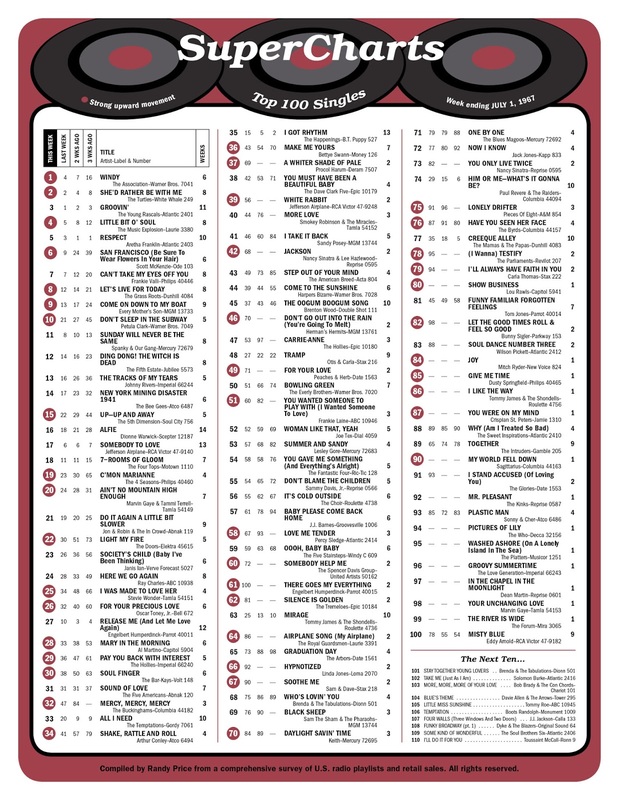 Many more great songs fill out The Top 40 this week. Moving UP the list are "Light My Fire" by The Doors (#22 from #30), "Society's Child" by Janis Ian (#23 from #26), "Here We Go Again" by Ray Charles (#24 from #28), "I Was Made To Love Her" by Stevie Wonder (#25 from #34), "For Your Precious Love" by Oscar Toney, Jr. (#26 from #32), "Mary In The Morning" by Al Martino (#28 from #33), "Pay You Back With Interest" by The Hollies (#29 from #36), "Soul Finger" by The Bar-Kays (#30 from #38), "Mercy Mercy Mercy" by The Buckinghams (#32 from #47), "Shake Rattle And Roll" by Arthur Conley (#34 from #41), "Make Me Yours" by Bettye Swann (#36 from #43), "A Whiter Shade Of Pale" by Procol Harum (#37 from #69, a jump of 32 points! 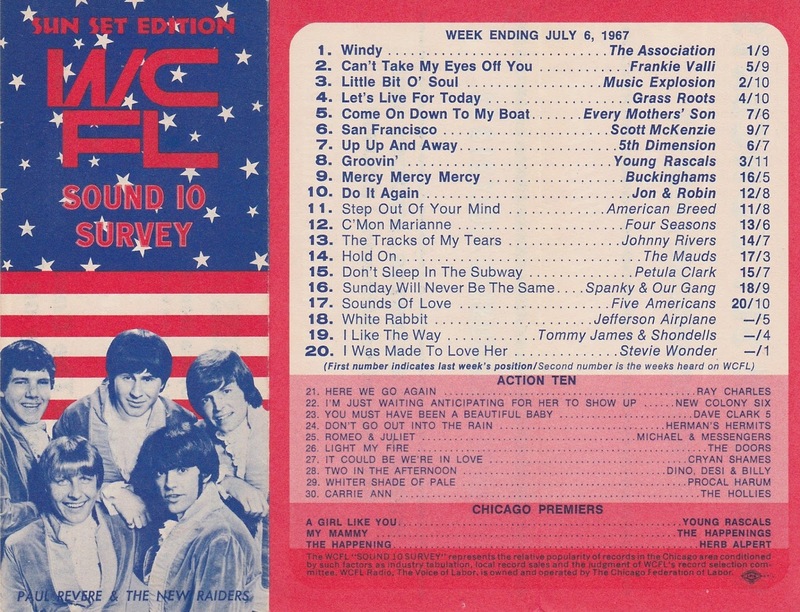 ), "You Must Have Been A Beautiful Baby" by The Dave Clark Five (#38 from #42), "White Rabbit" by Jefferson Airplane (#39 from #56) and "More Love" by Smokey Robinson and the Miracles (#40 from #44). Holding their position or making their descent down the chart, this week's Top 40 also gives us "Do It Again A Little Bit Slower" by Jon and Robin (#21), "Release Me" by Engelbert Humperdinck (#27), "Sound Of Love" by The Five Americans (#31), "All I Need" by The Temptations (#33) and "I Got Rhythm" by The Happenings (#35). Spanky And Our Gang record "Lazy Day" at Bell Sound Studio in New York City. Rounding out The Top 20, we've got great hits like "Sunday Will Never Be The Same" by Spanky and Our Gang at #11, "Ding Dong, The Witch Is Dead" by The Fifth Estate at #12, "The Tracks Of My Tears" by Johnny Rivers at #13, "New York Mining Disaster, 1941" by The Bee Gees at #14, "Up, Up And Away" by The Fifth Dimension at #15, "Alfie" by Dionne Warwick at #16, "Somebody To Love" by Jefferson Airplane at #17, "Seven Rooms of Gloom" by The Four Tops at #18, "C'mon Marianne" by The Four Seasons at #19 and "Ain't No Mountain High Enough" by Marvin Gaye and Tammi Terrell at #20. The first automated cash machine is installed at The Barclays Bank of Enfield in England. Mick Jagger's possession trial began today. He was held in jail overnight and requested books on Tibet and modern art and two packs of Benson and Hedges cigarettes for his stay. Two days later he and his Rolling Stones partner Keith Richards would be found guilty and sentenced to jail time. The Stones later had this decision overturned on appeal. "Windy" by The Association takes over the top spot this week in its sixth week on the chart. But man, what a Top Ten this is … proof again of just how INCREDIBLY strong a year 1967 was musically. I'd put that Top Ten against virtually any other in pop music history … they just don't come any finer than this!!! The #1 Album in the country this week is "Sgt. 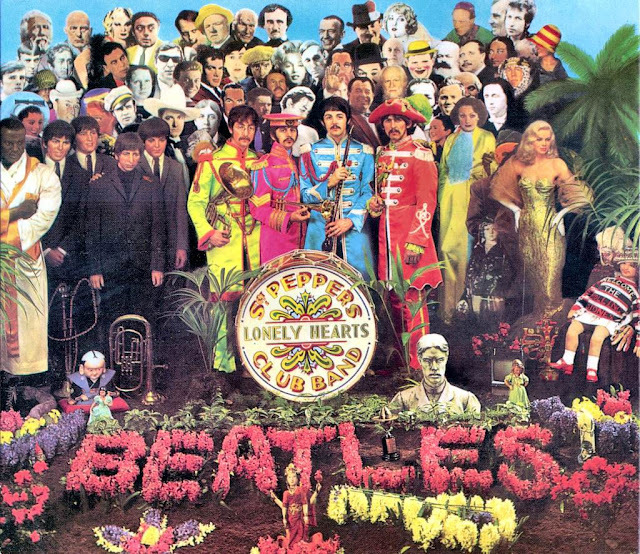 Pepper's Lonely Hearts Club Band" by The Beatles. By all counts, it's a masterpiece … and it will top the chart for fifteen consecutive weeks, becoming the album of the summer, the decade and (some might argue) of all time. 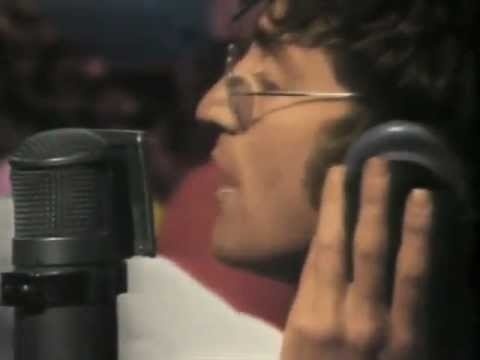 On a television program called "Our World", beamed via satellite to 25 countries around the world, The Beatles perform "All You Need Is Love". An estimated audience of 400 million people worldwide are believed to have watched this program. The Beatles were commissioned by The BBC to compose a song "with a message" for The United Kingdom's entry … and they came up with a doozie! 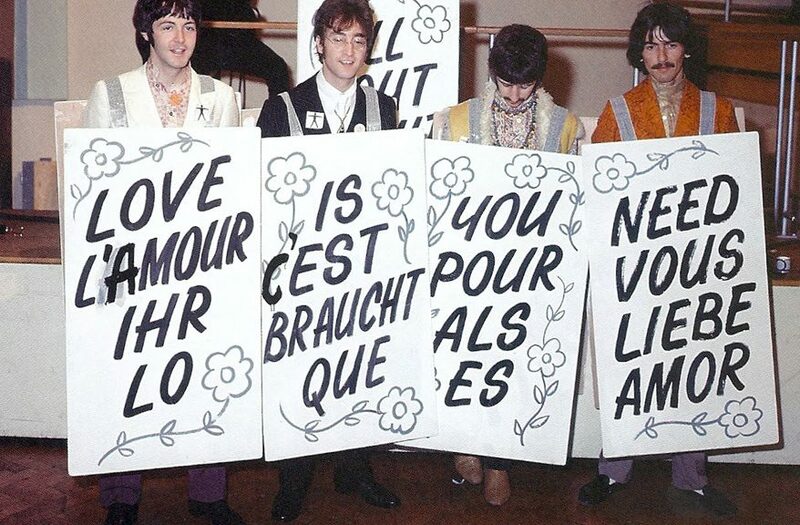 "All You Need Is Love" became a universal message, aptly timed to coincide with The Summer of Love. When it was released as a single two weeks later, it went straight to #1 … and is still considered a peace anthem to this day. 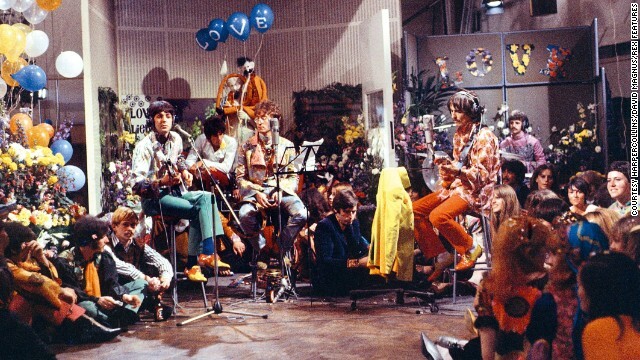 Joining them in the studio for this very special live broadcast event were Mick Jagger and Keith Richards of The Rolling Stones, Marianne Faithfull, Keith Moon, Eric Clapton, Pattie Harrison, Jane Asher, Mike (McGear) McCartney, Graham Nash and Beatles biographer Hunter Davies. Earlier that same day, The Jimi Hendrix Experience performed a free afternoon concert in San Francisco's Golden Gate Park. That evening they were back on stage for two shows at The Filmore West. Shifting gears a little bit … ok, a lot … Ed Sullivan hosts Connie Francis and Ronnie Dove on tonight's program. Meanwhile, Jefferson Airplane make their second appearance on The Smothers Brothers Comedy Hour. One of my favorite movies of 1967 … and of all time … "The Dirty Dozen" takes over the top spot at the box office this week. It'll hold that position for a total of five non-consecutive weeks this year.